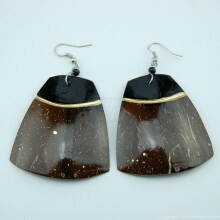 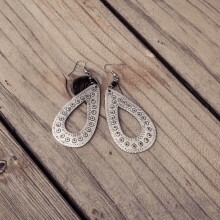 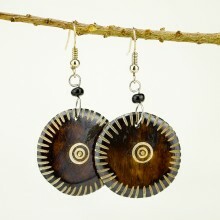 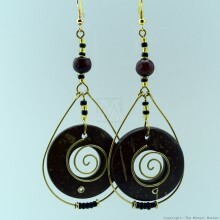 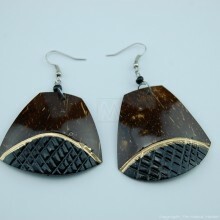 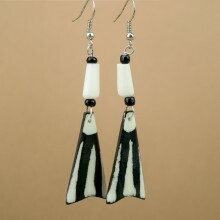 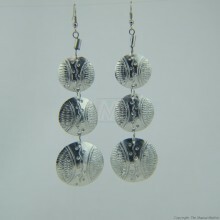 Get these captivating earrings from Kenya, East Africa. 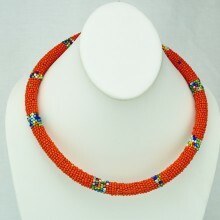 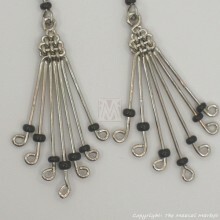 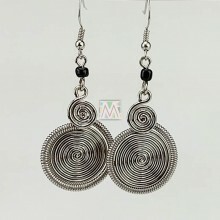 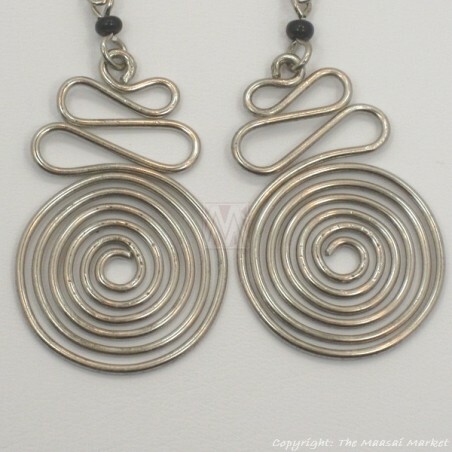 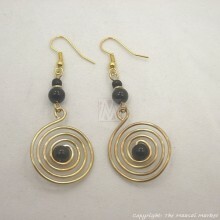 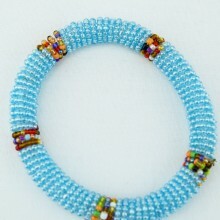 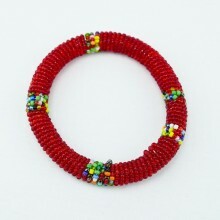 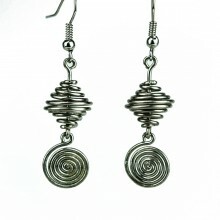 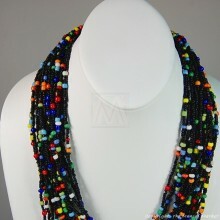 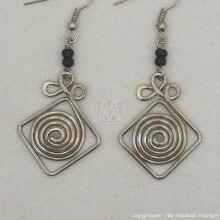 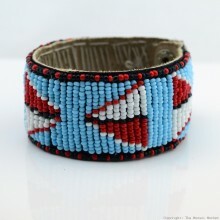 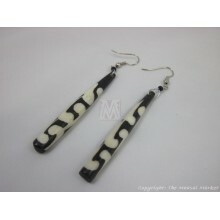 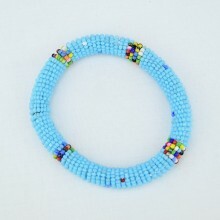 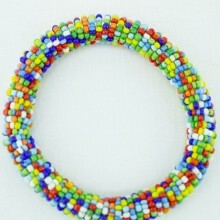 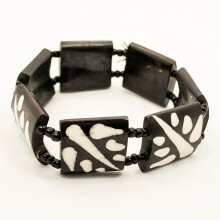 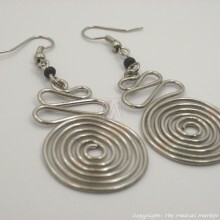 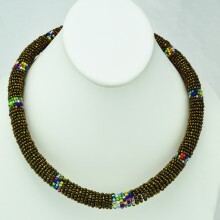 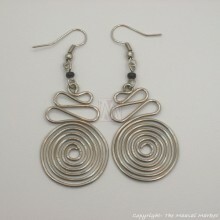 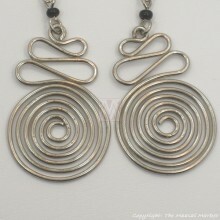 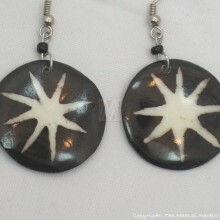 They are made of silver plated wire and have black Maasai beads. 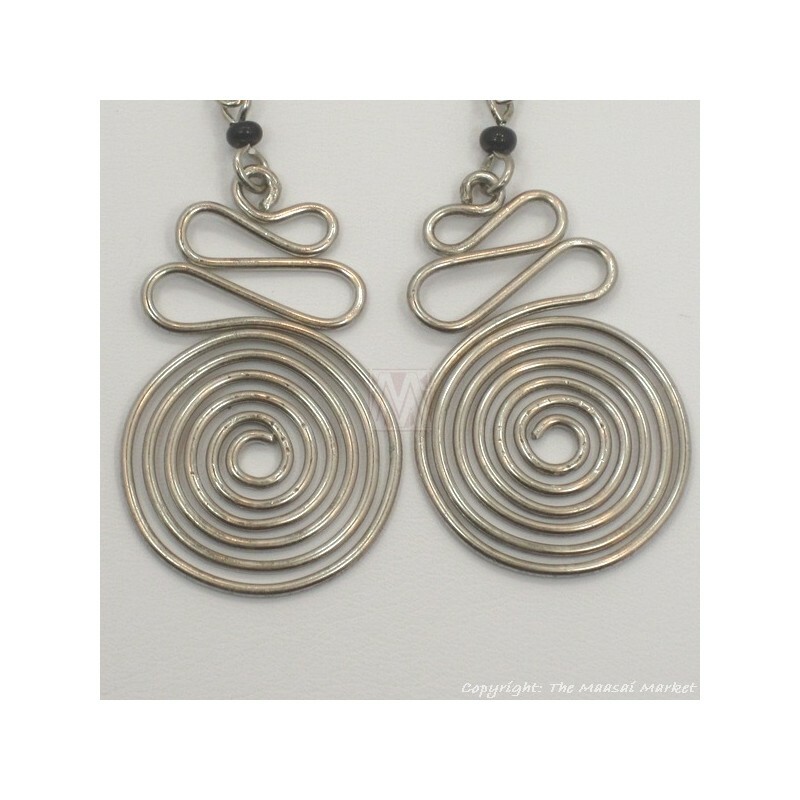 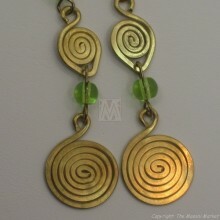 This set has a a unique spiral design.